Unik strandeiendom 12 min fra Oslo sentrum. En helt unik strandeiendom leies ut deler av året. Eiendommen, med 40 meter strandlinje, ligger vestvendt på Ljan ved Katten badestrand og har 180 graders utsikt utover fjorden, øyene og Oslo sentrum. Eiendommen har dypvannsbrygge, båtbøye, badelagune, fiskeutstyr, kajakk og sjarmerende, møblerte uteområder med stor gassgrill, utekjøkken, trådløst internett, varmelampe, hvilestoler og mye, mye mer. Konseptet er utviklet av arkitekt, og målet var å utnytte hver eneste kubikkmillimeter i den 27 kvadratmeter store hytta. Kjøkkenet er fullt utstyrt med alt moderne utstyr; Miele induksjonsplater og stekovn/mikrobølgeovn, oppvaskmaskin, kjøleskap, fryseboks, kaffemaskin, brødrister, kokkekniver, porselen, vin/cognac/drink-glass etc etc. Spisestuen er plassert i utsiktsalkoven med 180 graders utsikt utover fjorden, øyene og Oslo sentrum. Badet er moderne med Bisazza-mosaikk, sandblåste glassflater og Philippe Starck/Vedum/Villeroy&Boch-interiør. Varmekabler og avtrekksvifte. Soverommet i 1. etg består av fire køyesenger og det er to hemser -- hver med soveplass for to voksne. Alt interiør er lyst og moderne med spesialtilpassede møbler og belysning fra Expo Nova Lys. Et kombinert varmepumpe/airconditioning-anlegg sørger for behagelige innetemperaturer året rundt. Lystette rullgardiner på samtlige vinduer kombinert med airconditioning sørger for mørke og behagelig temperatur også på varme dager om sommeren. Feel the Fjord underneath your toes! Thanks a lot for a perfect stay! Easy to feel comfortable like at home, hard to leave the place. It's 100% Fjord feeling close to the norwgian capital! Fantastic cosy little cabin by the waters edge. Excellent transport into Olso, fantastic city, great hosts and perfect place for a break away. Four of us stayed with Truls and Kare who were terrific hosts. The house sits on the fjord with terrific views, a great deck, and an easy bus ride into the city center. We also enjoyed a lovely Norwegian breakfast prepared by our hosts. And one of us even took a dip in the fjord. The most beautiful cottage I have ever been to! We (3 adults and 2 youngsters) spend 8 days at this gorgeous little cottage right at the waterfront of Oslofjord. The pictures of the place are in no way misleading: it is as beautiful as it shows! The interior is perfectly clean, cosy and stylish/elegant at the same time, nothing is missing! And the exterior doesn't need commenting on - just enjoy! We loved the place so much that we didn't go to Oslo city as much as we had planned to, although going downtown is so easy and quick: just fetch the bus across the road and you'll be in the centre in 12 minutes. The great time we had is also due to the hospitality of the hosts (Kare and Truls)! We felt so much welcomed and at home and they helped with any requests we had. We will definitely be back some time! We stayed here for a long weekend and the view is absolutely beautiful - I could have easily stayed a week there just sitting on the pier watching the boats on the fjord. There were 6 of us and although the apartment is small it still felt spacious because of the way it's arranged so we were very happy. We had breakfast with Truls on our first morning and it was really great, also he was such a nice guy and gave us a few recommendations of things to do. All in all I would definitely recommend staying here if you want to visit Oslo - can't get over how stunning the view is, and it's really easy to get into town with a bus stop right outside the door. Thanks! I rented the cottage in February with my girlfriend. The location could not be more perfect. It is located a short bus ride/ drive from the centre of Oslo, but is away from all busy-ness of the city. Truls and Kåre, the property owners, made it so easy to settle in and become familiar with the city/ area. They helped us with everything from directing us how to get to certain locations, serving us a traditional breakfast, to even purchasing us transit cards so we did not have to go about finding them ourselves. This property is perfect for all seasons. 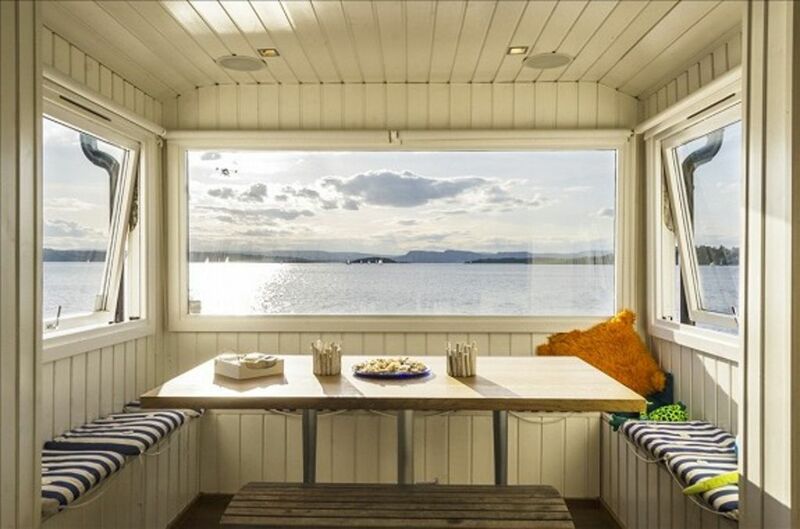 With its location right on the fjord, it is perfect for summer as well. Not to mention the ideal self-catering set up which allows you to save money in a fairly expensive city. I 100% suggest staying here with a young family or a few couples. The location/ atmosphere was so great that we did not feel guilty spending a day in. Thank you Truls and Kåre for the perfect Oslo experience!